i Click 'view all' to instantly compare this ok deal with offers on other top bose headphones. 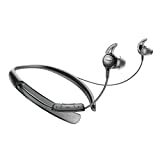 Bose SoundSport In-Ear Headphones Earphones, Sweat-resistant, Wired is currently selling at $75.00, approximately $19.73 higher than average. With a lowest price of $49.00 and an average of $55.27 it is selling on the high end of its usual range. Price volatility is 0.3% (meaning it does not change often), so you might have to wait a while for the price to drop. Right now this product is a recommended 'ok deal'. 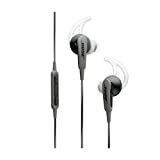 Compare the current price, savings (in dollars & percent) and Buy Ratings for the top Bose Headphones that are closely related to Bose SoundSport In-Ear Headphones Earphones, Sweat-resistant, Wired. 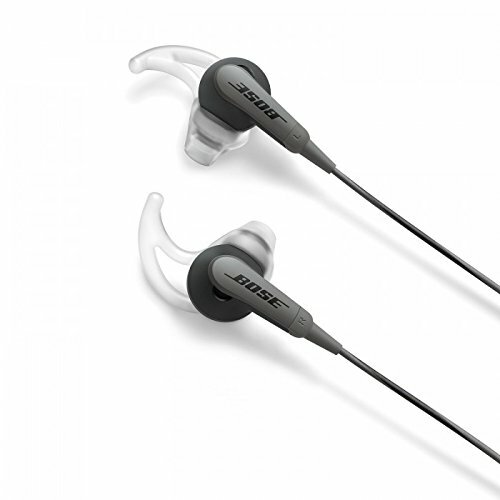 Here is how Bose SoundSport In-Ear Headphones Earphones, Sweat-resistant, Wired compares with other leading Bose Headphones. Your music in deep, clear sound Sweat- and weather-resistant design to survive your busy day Proprietary Stay Hear® tips conform to your ears shape Lightweight carrying case stores and protects headphones Energize your workout with full, balanced sound that conventional sports earbuds can't match. BOSE Sound Sport in-ear headphones are sweat-resistant and stay comfortably-yet securely-in place during vigorous exercises. So if music drives you, go further with headphones engineered to survive the demands of your busy life. If you want to control your music and calls check out our Sound Sport headphones for Apple or Samsung and AndroidTM devices.